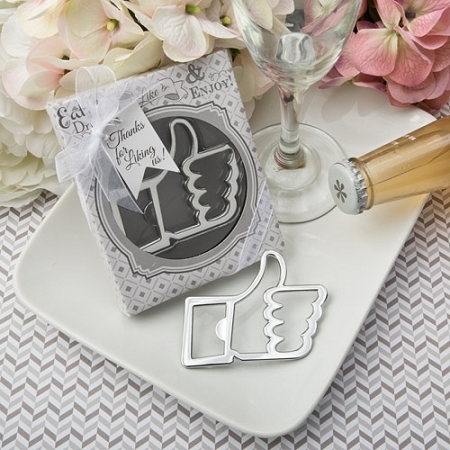 Bring a modern social media twist to your event with these stylish Like for Love's' Thumbs Up Bottle Opener. 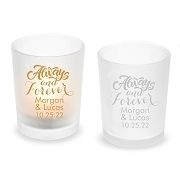 We are always searching for trendy and contemporary favors and this one is fabulous! Everyone recognizes the 'Like Us' button and now they can have a classy all metal rendition in their hands. 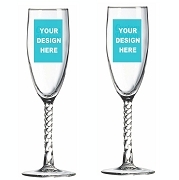 Get your event trending with this fun and contemporary favor. Your guests will be delighted! 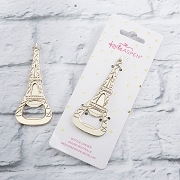 Size is 3" x 2 1/4"